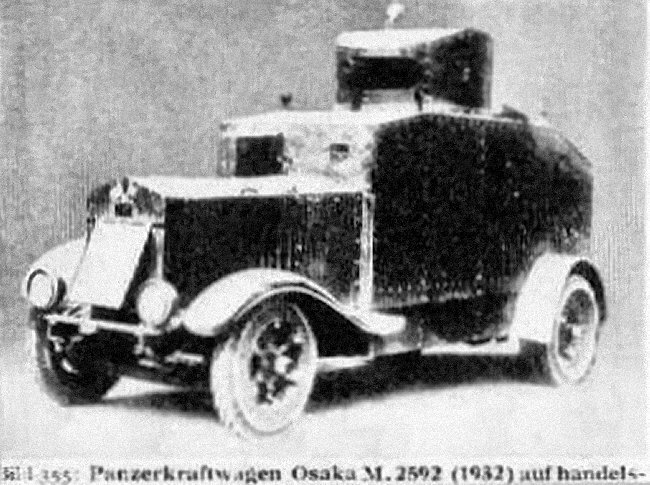 Often confused with the Type 93 Kokusan, this model was quite different, as it was based on a 4×4 chassis and apparently used only by the Army. 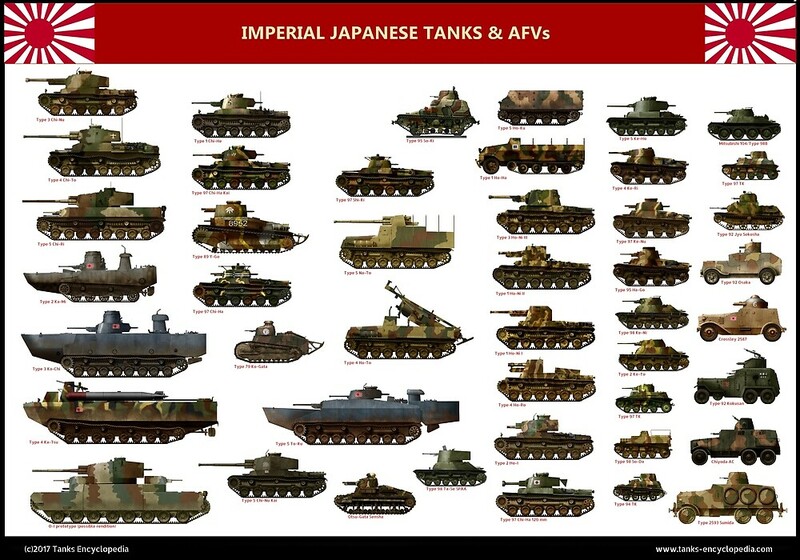 The Type 92 is sometimes referred to as “Hokoku”. The name “Osaka” (from the famous city), given by some European sources in 1935, being associated with the factory area or even the Osaka arsenal, and “Hokoku” coming from the pro-military organization that funded its construction. 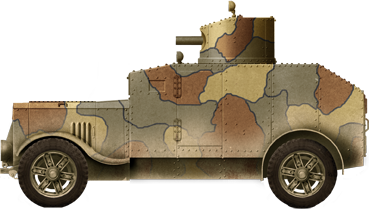 To make matters worse, there was also a Type 92 105 mm (4.13 in) field gun, also manufactured by the Arsenal of Osaka, a machine-gun and other ordinance materials, like the “Type 92 Heavy Armored Car” which in reality was the Jyū-sōkōsha tankette! The Type 92 seems to have been designed by Osaka Army Arsenal starting from a domestic 2.5 t truck chassis and with an armor scheme thicker similar to that of the Wolseley Armored Car. The turret was larger, housing a Type 3 6.5 mm (0.25 in) machine gun with a front opening for extra traverse, and another one was mounted in the bow. Specifications are diverging, depending on source. The Axis History Forum gives a weight of 6.4 t, 8-11 mm (0.31-0.43 in) armor, a 45 hp engine, which allowed it to reach 60 km/h (6.5 km/h in reverse) and a range of 240 km. 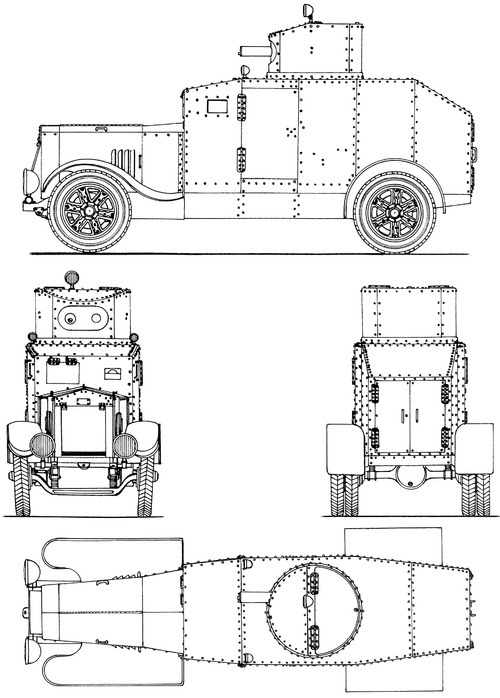 What little can be seen from photos, which led to the blueprint and illustration shown here, shows that the concept was straightforward, with a front engine compartment, the hood being protected by a plate with an open lower part. The driver compartment followed, the driver being on the left hand side, while the bow gunner was at the right. Access was possible through a side door, and the fighting compartment followed behind. It is not known if there was a separation. The turret had full traverse, a sloped roof and probably a two-fold opening hatch for the commander, and its individual searchlight. Two others were posted above the driver compartment. Metal spoke wheels were associated with standard inflated tires and, according to the photos, it had a leaf spring suspensions. Production numbers are totally unknown. The only source advancing a number (500) is German Daggers, which is highly dubious, whereas Weapons of WWII states that only one prototype was built as a technology test vehicle. Its fate remains unknown. Rare photo of a Type 92, with metal road wheels – Credits: Ikazuchisen.